Putting on a good face for customers, subscribers and/or visitors is an important aspect of brand management. Digital presences – such as websites and social media pages – certainly are easier and (usually) cheaper to renovate or alter than brick and mortar enterprises, but all of the same concerns still exist. Every now and then, an overhaul of a brand’s existing website is justified. Whether it be due to an out-of-date design, a shift in the brand’s focus or because of new and emerging technologies, it’s good to consider how a redesign can improve your brand’s look and feel. 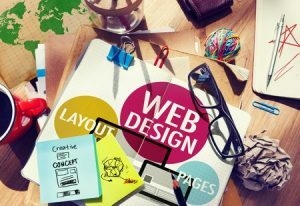 If you are planning on redesigning a website, then here are some tips to keep in mind before you begin the process. When revamping any website, the ability for users and visitors to find the content, products, services and other information they desire is paramount. Ultimately, an otherwise well-designed website with poor navigation can be a death sentence for brands that thrive on users finding what they need. It is imperative that you ensure that not only can users find what they’re looking for, but that search engines and crawlers can as well. Whether it be site maps or the proper placement of menus, consider this carefully when changing the layout of any website. You might not know it at first glance, but some of the most effectively designed websites in the world are incredibly simple with respect to editing. Investing in an expensive redesign may prove to be pointless if you or others are not capable of pinging your website with updates and new content. As such, the need for an easy-to-use interface may be essential in any upgrade, depending on your skills. It is also essential to consider how easy it will be for your website to grow with your business. If the redesign doesn’t use an infrastructure that can handle extra traffic, new pages and products, or otherwise cannot be expanded to include new features, then an alternative design may be better. Obviously most think of looks when talking about designing a new version of any website. While tangible and technical aspects of any redesign are absolutely critical, it’s important to not forget how the visual appeal of a design can impact a brand’s performance. Given the sheer flexibility of content management systems today, pinging your website with an impressive, modern and crisp design is easier than ever. However, ensuring that your preferred aesthetic is compatible with any technical considerations should be one of the first aspects you consider. Last but not least, any website redesign ultimately costs something. For those capable of doing it themselves, time must be spent to produce the desired results. For many others, money is involved in procuring the final product. Whatever path is chosen, it’s vital to consider what resources will be necessary to achieve the end result. Some effective redesigns can be achieved in just a few hours and with little to no money, while others can easily cost thousands or even tens of thousands of dollars. As such, assess your available budget and resources, and be realistic about what you can afford. Potentially dozens of considerations must be made when considering a revamp of any website. However, the four examples above are key components and will have a profound impact on the result, depending on your choices. As such, be sure to carefully consider each aspect and ensure that your broader plans are in line with what you can justify, afford and/or produce. Should I Expand My Mini-Site’s Content?